Unless you’ve been under a rock the last couple of days, you know that a great deal of our nation was hit by one of the worst storms in my memory. 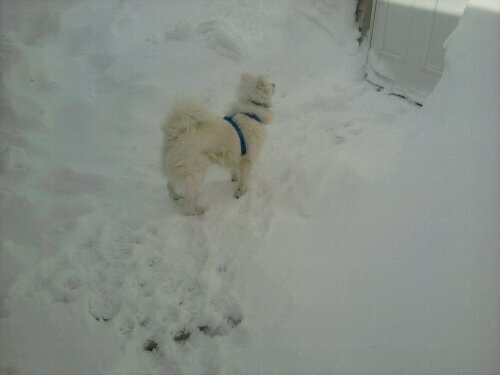 I remember having this much snow only once before in 1979. That blizzard prompted a radio station (WMAQ) to put out a record called “Blizzard of 79”. There is something I would like to note: snow is a very leveling event. We’re all affected by it. We’ll all talk about it. And, there’s nothing anyone of us can do about it. After waking at 4AM to no power, working from home and waiting for the plow all day yesterday, I thought I would post pictures today. This is Oliver. He can hear the cats meowing on the other side of the door. I can't tell if he wants them to come out or he wants to go in. 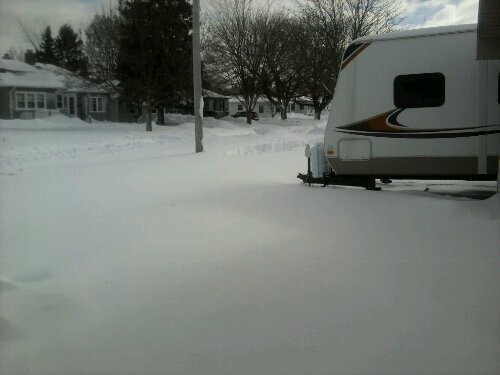 This is a picture of our snow covered street. It doesn't look too bad. You can see in this picture where my property line begins. It is right there where the gap of cleared snow stops. 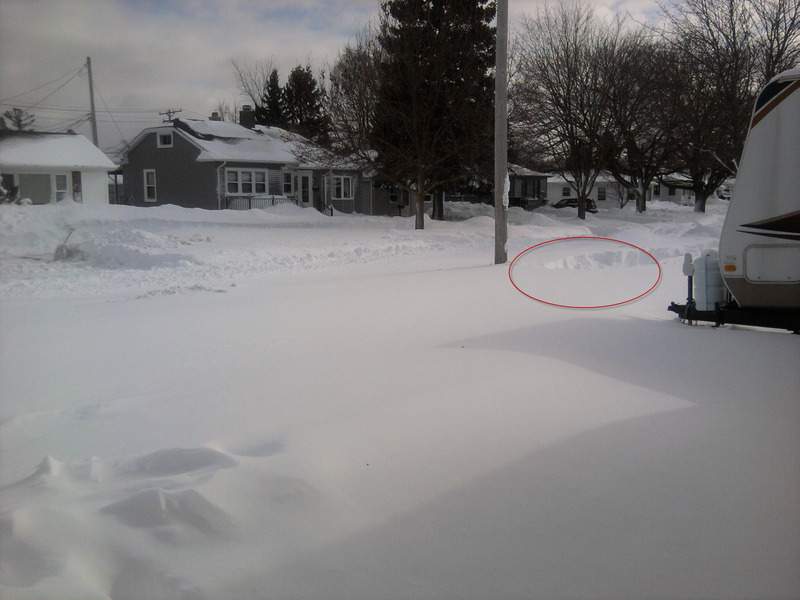 Inside that red circle is my property line. I don't expect the neighbors to shovel for me, but I shouldn't be able to view my line so clearly. It happens on the other side of the house as well.